These are current plans and may change if the weather is wet. Bromfield Road will be closed at the Corve Bridge on Sunday 31 August for one day for micro-surfacing. 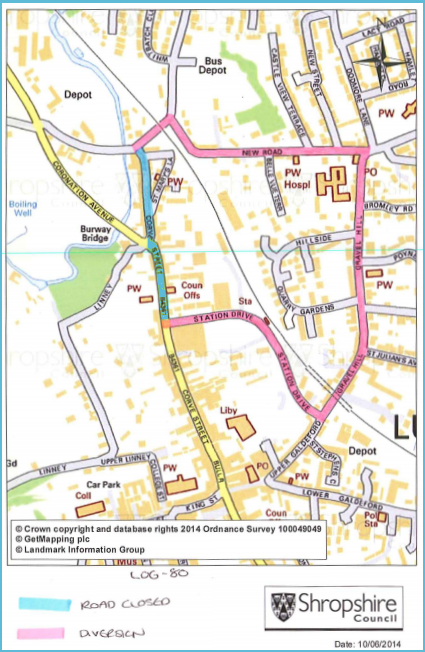 Lower Corve Street will be closed for micro surfacing on Monday and Tuesday 1/2 September. Vehicles, including buses, will be diverted from Bromfield Road, across the Corve Bridge, up New Road and onto Gravel Hill. Further information on the closure from Kirsty Jones, 0345 6789006.